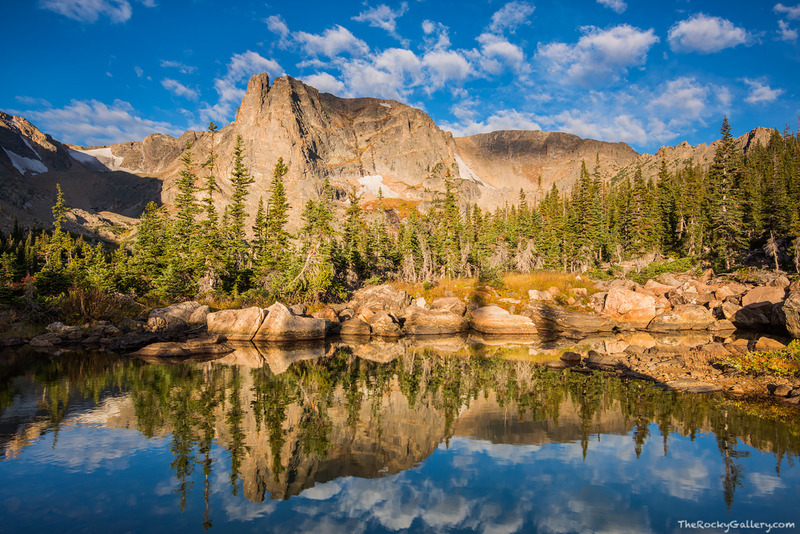 A calm and peaceful morning unfolds near Two Rivers Lake in Rocky Mountain National Park. A few puffy clouds float over the granite top of Notchtop Mountain as Notchtop reflects in an alpine tarn. No wind, and a warm autumn sun made this the perfect place to relax and reflect on the beauty of Mother Nature. Photo © copyright by Thomas Mangan.